As director of the National Oceanic and Atmospheric Administration’s National Climatic Data Center in the late 1960s and early ’70s, William H. Haggard witnessed an explosion in the number of requests from attorneys needing weather data for their cases. But while the Center offered data certified by the Department of Commerce that could be submitted as evidence in a court of law, government meteorologists could not be released from work to interpret this data in the courtroom. In their place, pioneering forensic meteorologists stepped in to serve as expert witnesses. For a society enthralled by courtroom drama, forensics, and natural disasters, Weather in the Courtroom is a perfect storm: an exciting inside scoop on legendary court cases where the weather may—or may not—have played a crucial role. 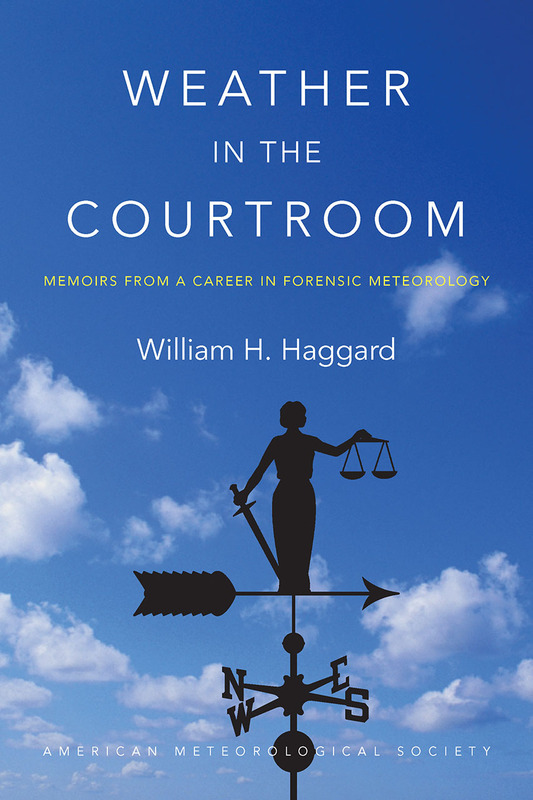 Haggard explores both the meteorological facts and human stories of a variety of high-profile cases among the hundreds in which, after retiring from the government, he served as an expert witness. Were the disappearance of Alaskan Congressman Nick Begich’s plane on October 16, 1972; the collapse of Tampa Bay’s Skyway Bridge on May 9, 1980; and the crash of Delta Flight 191 in Dallas/Fort Worth on August 2, 1985, natural or human-caused disasters? Haggard’s recounting of these and other litigations reveals just how critical the interpretation of weather and climate data in the courtroom is to our understanding of what happened—and who, if anyone, is at fault. 6 Lake Coamo Flood: An Act of God? "Asheville's 96-year-old first-time author goes to court. . . . Haggard discusses his rich, colorful, and dynamic experiences as a forensic meteorologist. His expertise as a courtroom meteorologist draws the reader into fascinating cases of related accidents ranging from commercial aviation to ‘slips and falls.’"